The highest calling for a Freemason is to help others regardless of race, creed, color, religion, gender, or Masonic affiliation. Ever since the Masonic Fraternity came to these shores from Great Britain during the colonial period of American history, Masons have sought to provide relief and assistance for those in need. True to this calling, the Scottish Rite Foundation of Colorado was created in 1953 by Scottish Rite Masons in Denver. Its work is known as the RiteCare Childhood Language Program. It helps enable Colorado families obtain the highest quality of speech-language therapy services for their children with language disorders. The award-winning Foundation has grown exponentially over the years and we are now helping more than 1,000 children annually. This undertaking is sponsored and supported by all Scottish Rite Masons and organizations throughout Colorado. We also have many friends not in the Masonic Fraternity who join with us in this work. The RiteCare Childhood Language Program is now adopted in one form or another throughout the Scottish Rite in the United States. 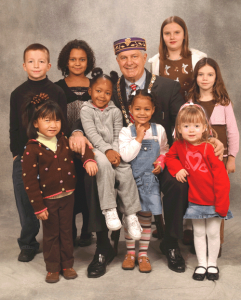 The treatment of childhood language disorders is endorsed as the Scottish Rite's flagship philanthropy by our national governing body — the Supreme Council of the Ancient and Accepted Scottish Rite of Freemasonry for the Southern Jurisdiction of the United States of America (35 States and the District of Columbia) which is headquartered in Washington, D.C., in the House of the Temple. A valuable member of our Foundation team in Colorado is Dr. Kristin Uhler, the Kelley Family/Schlessman Family Scottish Rite Masons Chair in Childhood Language Disorders at The Children's Hospital. Dr. Uhler chairs the Department of Audiology, Speech Pathology and Learning Services at Children's and and has practiced as an audiologist since 2000 with an emphasis in clinical practice, research, and teaching. Dr. Uhler serves as an ex officio member of the Foundation's Board of Trustees. In Colorado, speech-language services are delivered through clinics at six different hospitals, two universities, and a not-for-profit community clinic. In addition, we seek to assist children at-risk for language disorders through a early childhood reading and literacy program operated by two not-for-profit organizations. Finally, the Foundation supports graduate work in speech-language pathology through the granting of annual scholarships for students at the University of Colorado - Boulder and the University of Northern Colorado. We invite you to learn more by visiting the Scottish Rite Foundation of Colorado website.